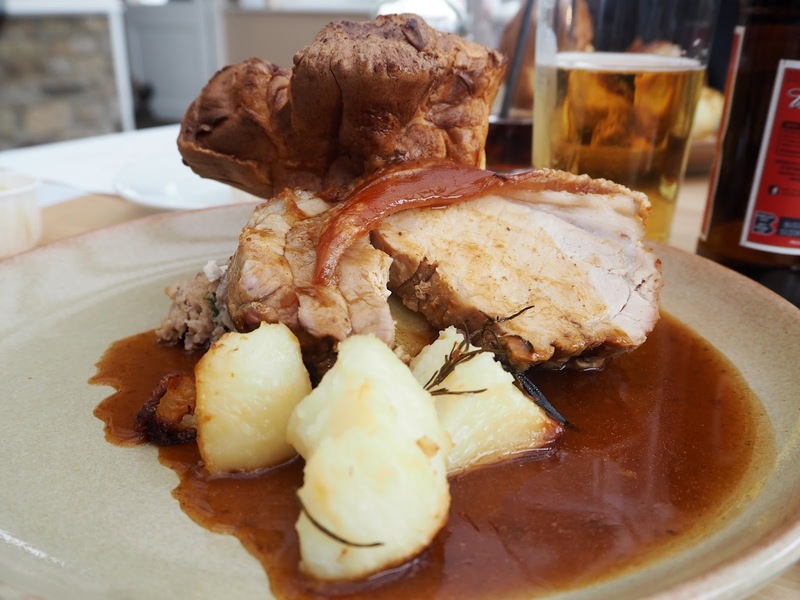 Yesterday was Mother’s Day in the UK and I we always celebrate the day with a little family meal out, preferably a Roast Lunch. This year, we decided to take a little drive to a place called The Grainary which is near Harwood Dale. We had booked in advance and It was a good job as they were fully booked on the day! The weather was pretty lovely yesterday morning, I even had my shades on until it started snowing. I guess wearing over the knee boots, a faux fur jacket and sunglasses wasn’t the best idea for visiting a farm, yet alone visiting on a farm in the snow. 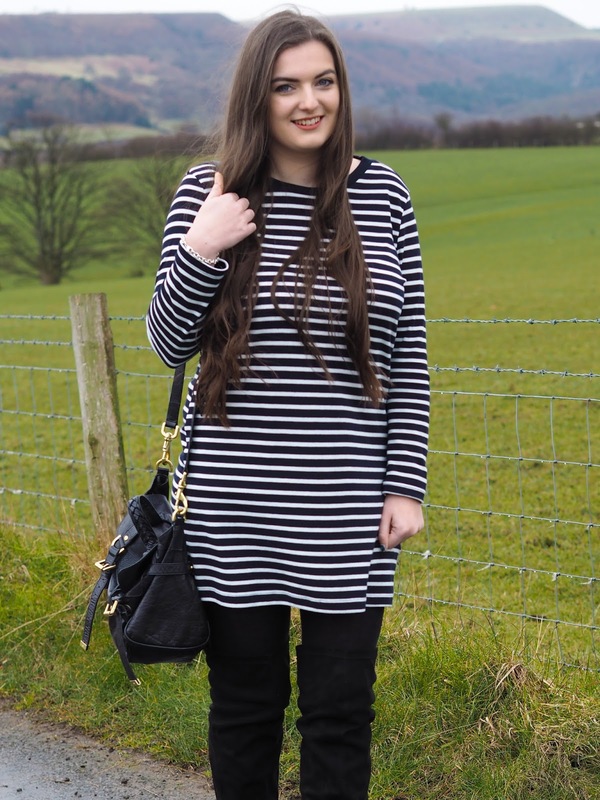 I wore one of my favourite dresses at the moment which I featured in my Stripes feature here, It’s from Topshop and it’s just so easy to wear! The Grainary was spot on, lovely service and the food was great. I’m looking forward to returning in the future, possibly in the Summer when the weather is a little brighter. 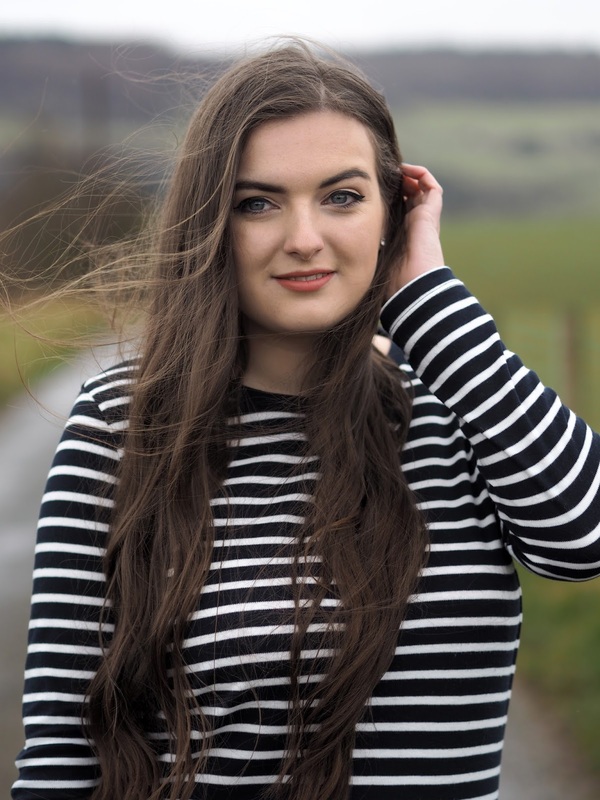 Keep your eyes peeled for lot’s of Travel posts this week on my advetures in Amsterdam and don’t forget I currently have a giveaway running to win £30 to spend in House Of Fraser, you can enter here! HARRY POTTER WORLD PREMIERE IN TRAFALGER SQUARE!! This outfit is sooooooo me. I love it. Love your jacket and the food looks amazing. Hope you had a great time. The stripes really suit you!! Looks super cute!! WOW – you look stunning. 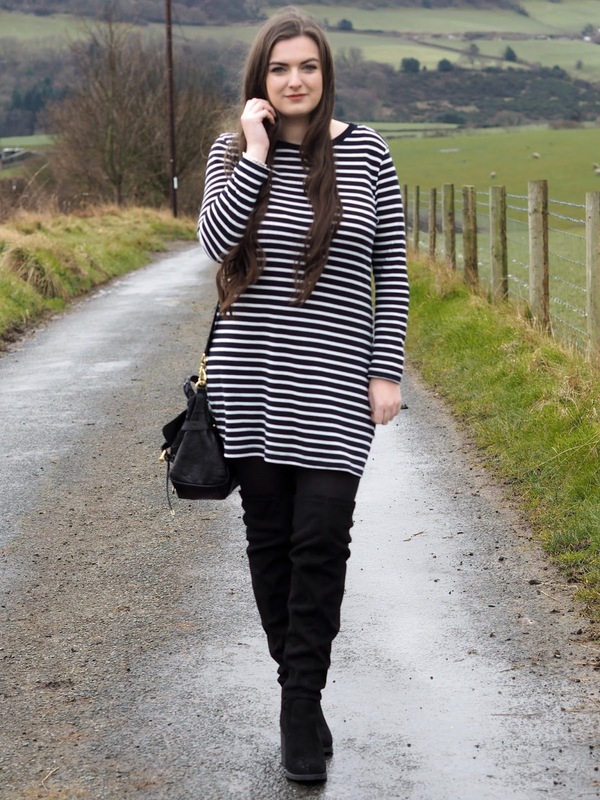 I absolutely love stripes, all my friends know me for always wearing striped tops and jumpers. This outfit is very complementary to you. Thanks for sharing and I hope you had a lovely day out. You look so fabulous! I've also made the mistake of wearing totally inappropriate shoes to a farm before haha. Hope you had a great day!